Home foundations are made from concrete or wood. CC Foundation Repair, which keeps your home’s underpinnings strong, was founded on family, another strong base material. 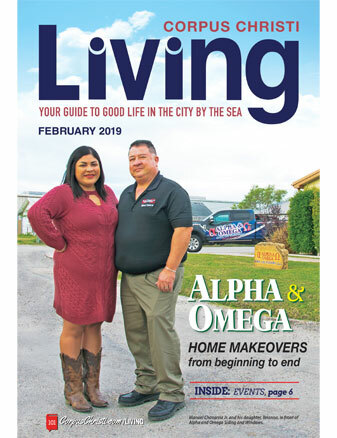 “The CC in our name not only stands for our beloved town of Corpus Christi, but also reflects the initials of the original founders— two brothers, Cornwell and Cornwell— the original owners and my personal mentors who took me in as family,” said business owner Victor Licon. 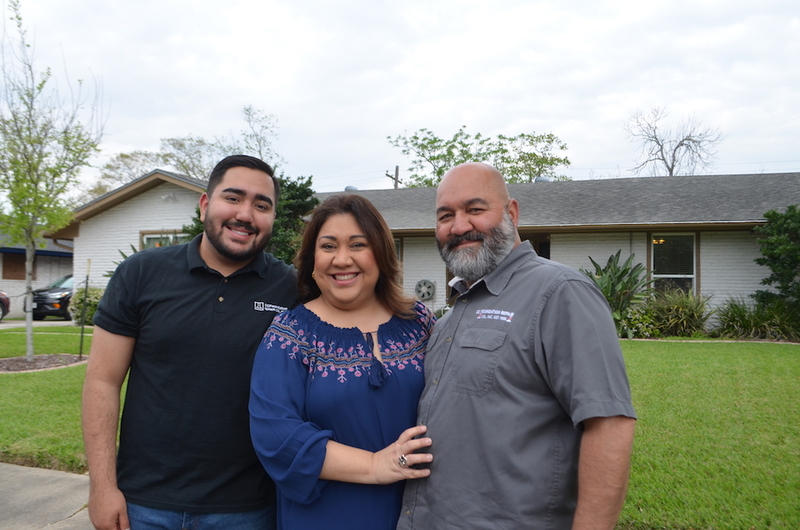 Growing up in Corpus Christi, Licon dreamed of owning his own business. While a student at Carroll High School, one of Licon’s teachers inspired him to participate in a work-study program. As a result, he began working part time with brothers Clarence and Theodore “Ted” Cornwell, the original owners of CC Foundation Repair. Eventually, he became interested in working with CC Foundation Repair, where he started as a laborer on job sites. He literally learned the business from the ground up. When Clarence Cornwell died, his brother, Ted, offered Licon a partnership. Licon worked with the Cornwells, including Ted’s wife, Roberta, and son, Vince Deckard, until Ted died in 2000. Licon’s wife, Annie, left her job at a local credit union to take over for Roberta in 2006. The company was then completely under the care of the Licon family. Annie works out of the couple’s home, while Victor has a separate shop and warehouse off Holly Road. Son Justin Licon, a business management major at the University of Incarnate Work, inherited his father’s sense of entrepreneurship. At age 13, he was already helping in the family business. Each house presents a different challenge, he said. Learning how to work around those challenges has brought him an awareness that most people don’t have about the importance of foundation work. “If I were to buy my own house, I would have awareness about the foundation condition,” he said. As for working for his dad in the future, Justin sees many possibilities, one of which is owning his own business. His father wants his son to pursue his own dreams, whatever they may be. With spring in the air, Licon offers the following advice for keeping an eye out for foundation issues. Foundations based on a concrete slab need moisture for stability. A common practice for people who don’t have time to water the perimeter of their home is to set soaker hoses around the house with timed drip-lines. Keeping a wet/dry balance is important. Both too much water and not enough can cause a house to move, cracking the foundation. Signs of foundation problems include fractures in walls, doors that don’t close properly or are misaligned, and plumbing and sewer line problems. Fractures in brick veneer homes are early signs of foundation problems. Pier and beam foundations, however, should not be watered. Instead, they should have proper drainage to prevent water from migrating under the house. Anyone with questions about the integrity of their home’s foundation can call on CC Foundation Repair to come take a look and offer advice on maintenance and repair. CC Foundation Repair offers a lifetime warranty on slab foundation repair. All work and repairs are engineer-certified and have an A+ Rating on the Better Business Bureau. For more information about CC Foundation Repair call (361) 994-1151 or visit cc-foundationrepair.com or Facebook/ccfoundationrepair/.